The position is located in the Department of Chemistry and Materials Science, Espoo, Finland, and funded by the Academy of Finland. This project develops novel aqueous redox flow battery technologies employing redox solid materials to enhance the energy storage density. The aim is to develop inexpensive and safe solutions for large scale energy storage, as well as developing new techniques for understanding how the materials work and why do they fail. This improved understanding will help to improve the battery performance and stability. The project includes synthesis and testing of the active materials as well as development of operando measurement techniques for the system. The work will be a mixture of electrochemistry, flow battery research, in situ spectroscopy and materials synthesis. Successful candidates must hold an excellent M.Sc. degree (or an equivalent) in Chemistry, Material Science, Physics or related field at the time of the contract commencement. The ideal candidate has hands on experience in advanced synthesis and structural characterization techniques (TEM, SEM, Raman, XRD, etc. ), but this is not a strict requirement. Good knowledge on electrochemistry is an advantage, and good command of English is a necessary prerequisite. 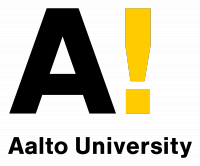 Aalto University follows the new salary system of Finnish universities. All material should be submitted in English. The application material will not be returned. Full attention will be guaranteed to the applications registered before 15.10.2018. The prospective starting date is 1.1.2019, but this date is negotiable.